As the summer slowly comes to its end, I want to enjoy every last bite of the summer flavors. 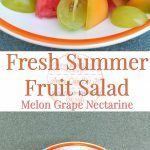 This Fresh Summer Fruit Salad made of watermelon, melon, grape, and nectarine. It’s very simple and really delicious. It’s a very simple salad and honestly, I feel it doesn’t need any dressing. However, if you want to spice it up, mix up a little lemon juice, honey, and a tiny-tiny bit of cayenne. As the summer slowly comes to its end, I want to enjoy every last bite of the summer flavors. 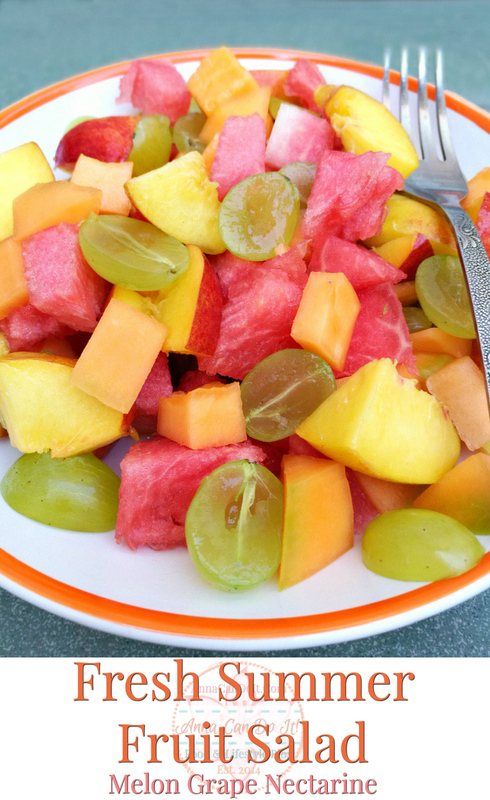 This Fresh Summer Fruit Salad made of watermelon, melon, grape, and nectarine. It's very simple and really delicious. Perfect summer salad. Wash the grapes and the nectarines. Cut them in halves and deseed them. Dice the watermelon and the melon. Add the melon pieces to the bowl. Store it in the fridge until serving. Ps. : Haven’t got a chance to update you about my life lately. First of all, I’m going to a vacation tomorrow to Senj, Croatia. So probably, I’ll be less active on social sites for the next 10 or so days. The next thing I want to mention that I started learning Esperanto not even a month ago. I love it already! It’s an absolutely logical, transparent language! The third thing is that in September I start my last year in this uni. So, I’m apologizing already for my inconsistency and the lack of posts (just like how it happened in the last semester).